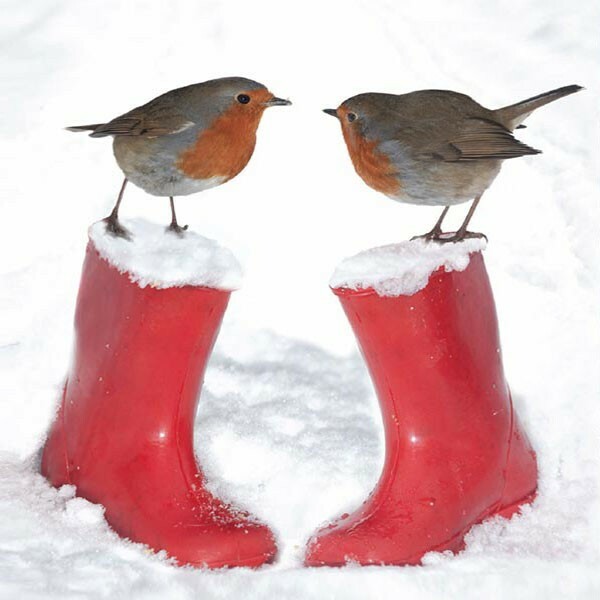 Card description: Two robins share a festive moment as they perch on a pair of snowy red boots. ActionAid's beautiful Christmas card designs will put a smile on the face of your family and friends. But they'll also help to put a smile on the face of the women and girls we work with around the world - every card you buy will help support our work ending violence against women and girls and changing lives, for good.